Well, I think today was the first real day of summer. We spent some of the afternoon at a park, just chilling in the shade, and it was hot! I know I talk about the weather a lot on here, but how could I not? It just affects my mood so much and my cooking preferences, I feel like I have to tell you all about it. My two favorite things about summer, in terms of food, are fruit and ice cream. Both on its own or combined, whatever the concoction, I just need them. Now, it’s been a looong time since I last had a banana split, but something like chopped berries and vanilla ice cream served in a bowl is what I have quite often. But somehow drinks scream summer even more than just ice cream. Specifically iced drinks or shakes. 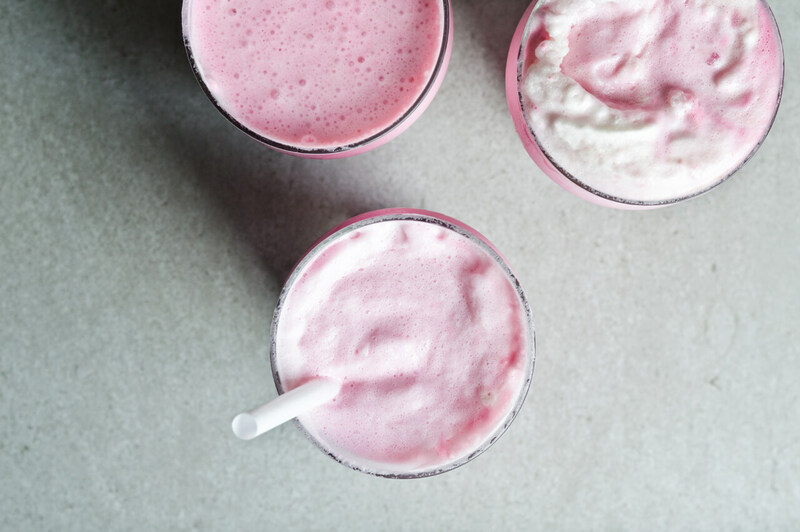 I’ve had ice cream floats on my mind for a long time now and this weekend seemed like the perfect time to make a float, or 4. 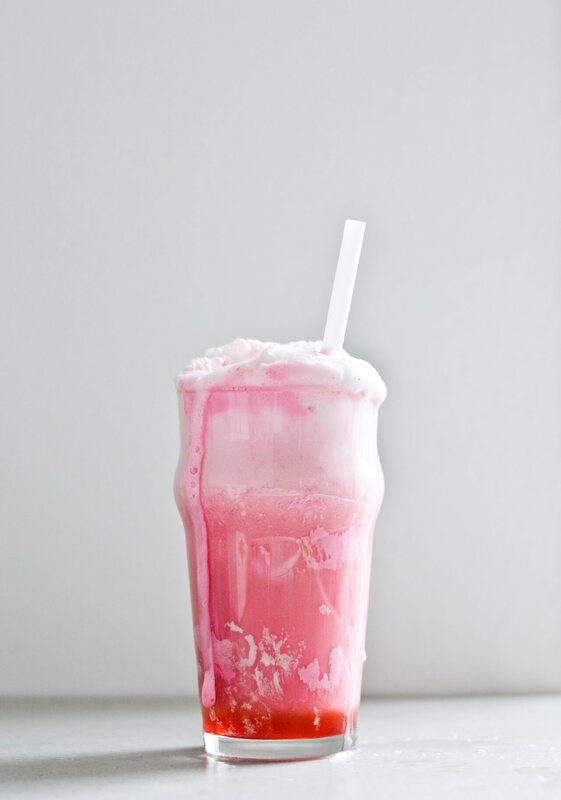 I wanted something vibrant and came up with this bubble gum pink elderflower strawberry ice cream float. The color is pretty wild and it just makes me happy, but the taste is out of this world too. 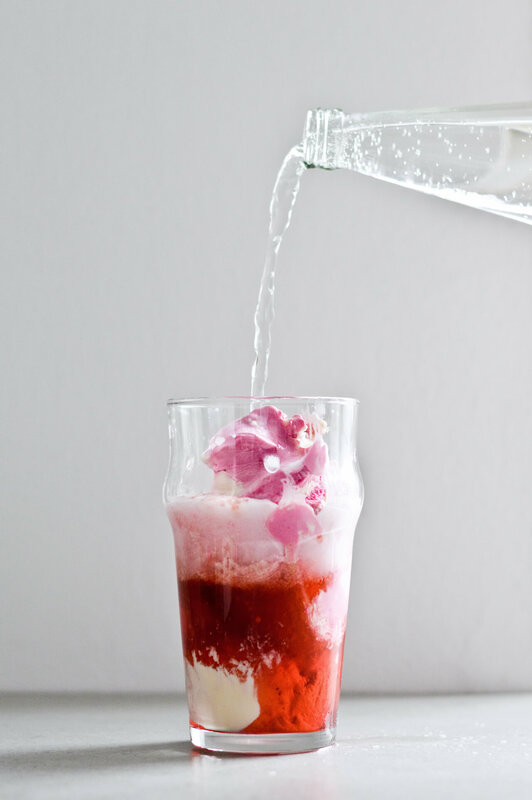 You know how much I’m obsessed with elderflower, it’s the flavor of the summer for me (just look at this mocktail or a light cocktail, or my Instagram love post) and just takes me back to my childhood. 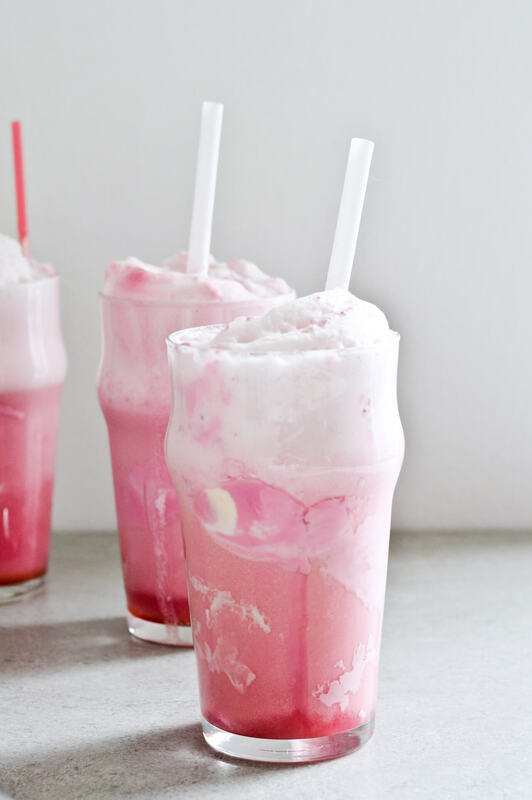 And strawberries and vanilla are both a great flavor match for it. 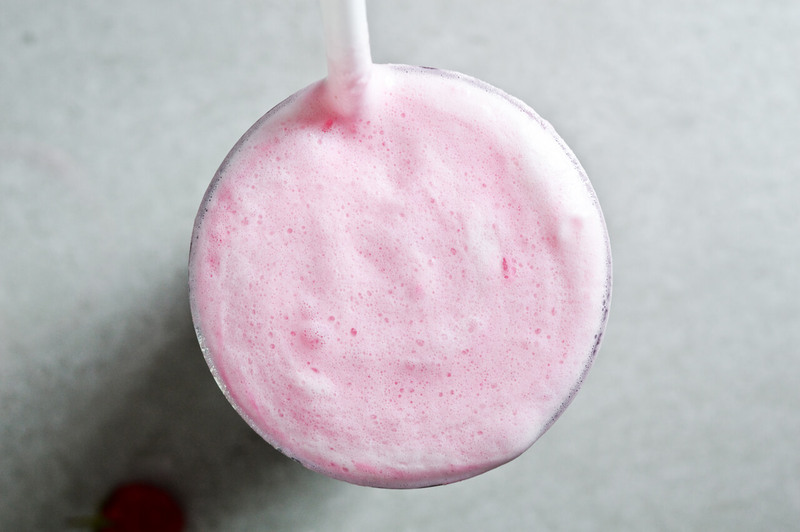 If you want something that is bubbly, tastes sweet but refreshing, is floral and fruity, made with a ton of ice cream and looks like Barbie made it then this elderflower strawberry ice cream float is perfect for you. Trust me, your summer self needs this! 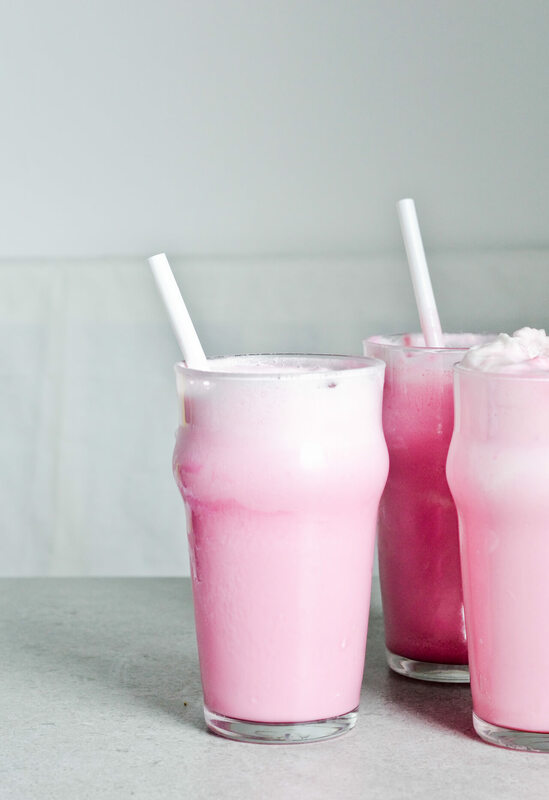 The perfect vibrant summer treat! 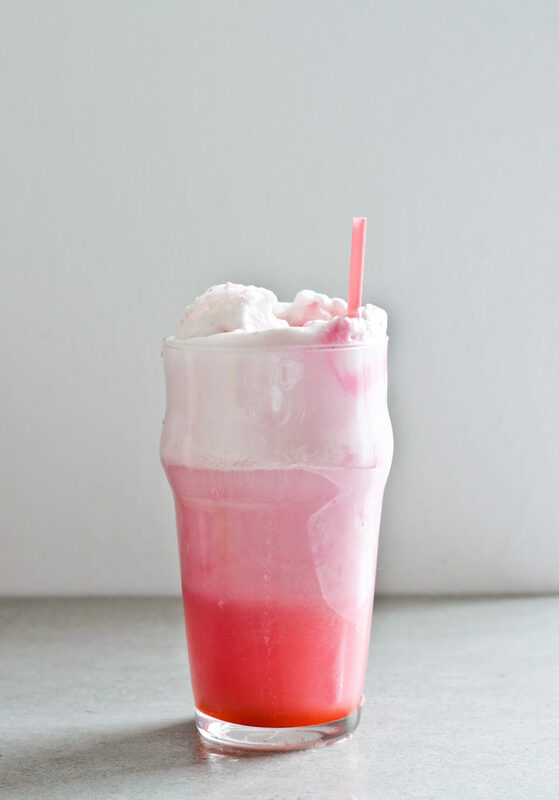 Recipe makes 4 large (500ml | 17 oz) floats. 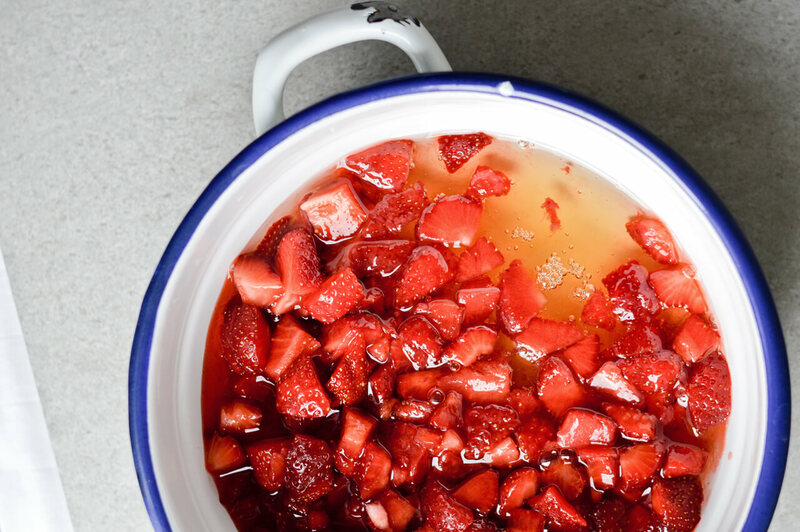 Combine elderflower syrup and chopped strawberries in a medium saucepan. 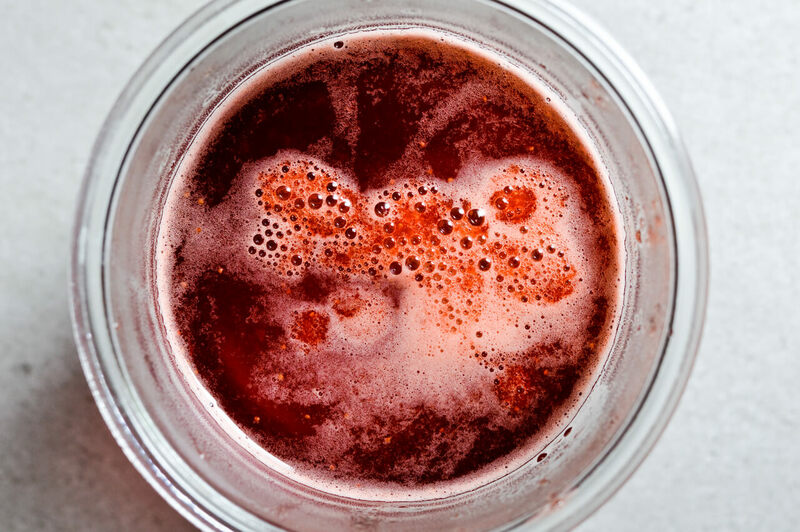 Bring to a boil over medium heat and cook for a few minutes, until strawberries are tender. 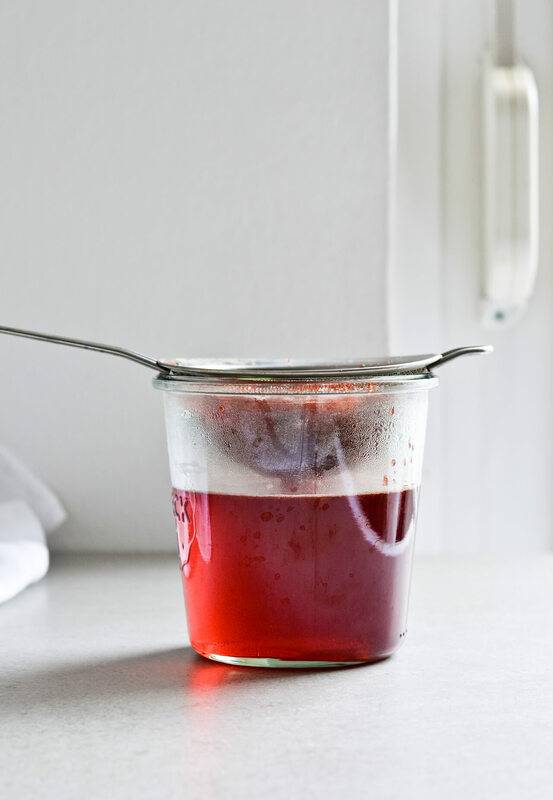 Strain mixture to a jar and cool to room temperature. 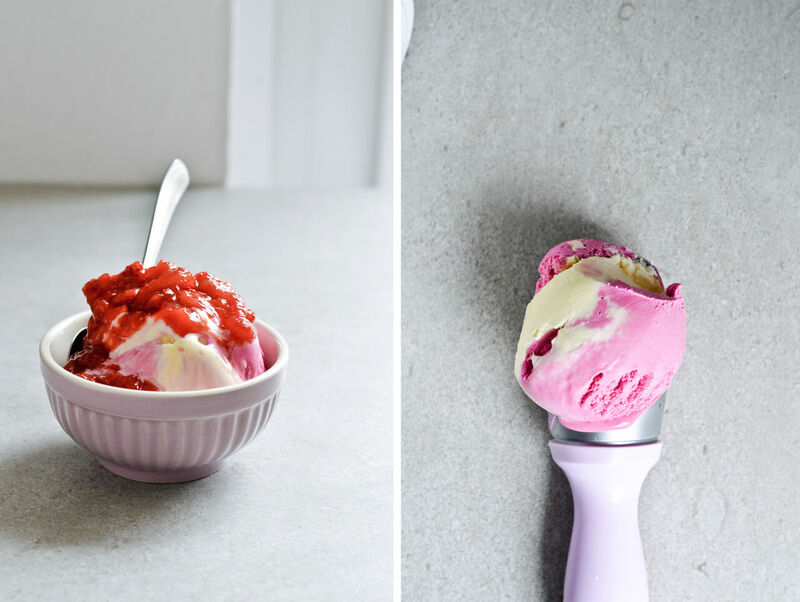 Instead of discarding the strawberries, store them covered in the fridge and serve over ice cream. 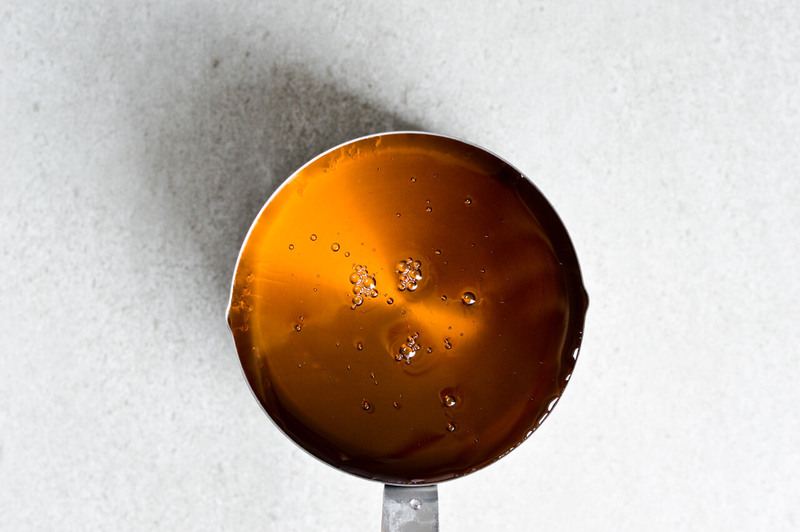 To serve: divide syrup between 4 large glasses (about 500ml / 1 pint in volume), add 2-3 big scoops of ice cream to each, pour over mineral water until it reaches the edge of the glass. Add a straw to each drink and enjoy! If your grocery store doesn’t stock elderflower syrup, you can also get it on Amazonor at Ikea. !! Alice, this looks so tasty! 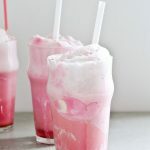 <3 When it gets a bit more summery where I live, I'm going to be all over making these!